Against urine smell for use on and in the litter box for hygiene and fresh scent in the environment of your pet! odor absorbent that can be used especially in and around the cat litter box . By the fine spray head even the lump litter can be sprayed without lumps forming. after cleaning before adding the new litter . 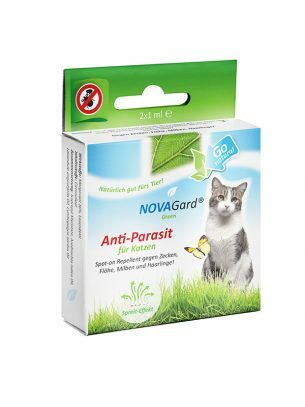 As an air freshener, NOVAGard Green ® anti-odor has also proven very successful in the environment of the cat lavatory . The odor-binding effect is long-lasting. The delicate lavender note creates a fresh, clean impression that people and animals appreciate. 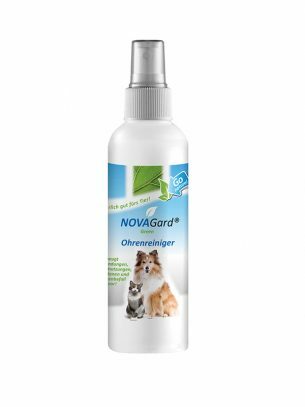 Also resting places of dogs and cats in the house as well as in the car benefit from a treatment with NOVAGard Green ® Green Anti-Odor. Before use, please read safety and application instructions carefully.In rare cases, the product may cause skin or eye irritation. Do not use the product specifically on the animal. NOVAGard Green ® Fresh coat care for dogs is available for animal use . In case of accidental eye contact, rinse thoroughly with plenty of water and open eyelid. If irritation persists, consult your veterinarian. In case of accidental ingestion drink plenty of water. If in doubt, consult a veterinarian / doctor. Protect from frost! Store cool and dry! Keep away from children! soaking in the areas to be treated is unnecessary. 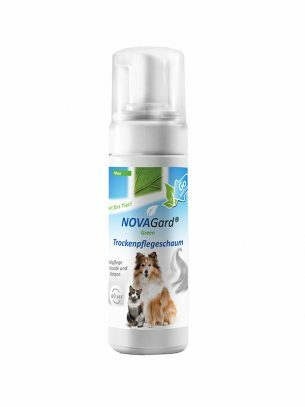 When used as an air freshener, release one to two short bursts of NOVAGard Green ® anti-odor into the air. For sensitive surfaces make an application sample in an inconspicuous place. colloidal form for the pet owner in a unique, innovative recipe. 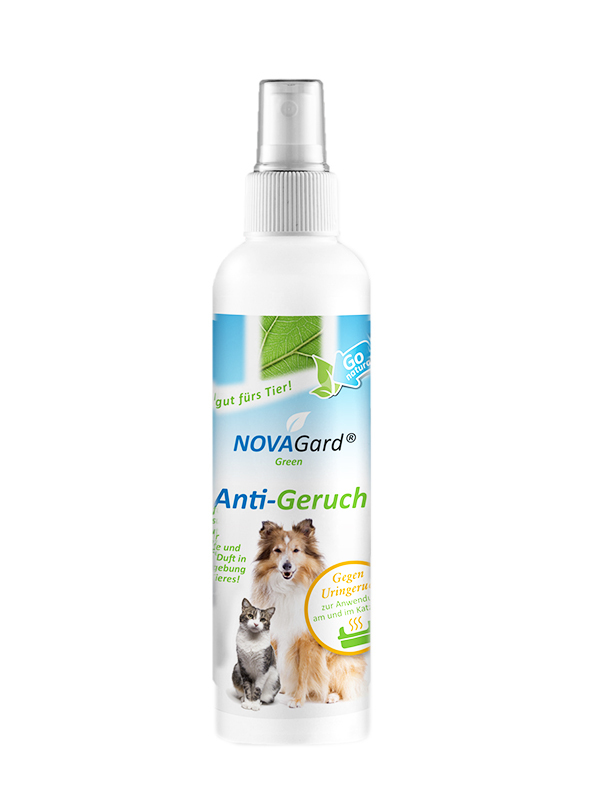 NOVAGard Green ® Odor Absorber Plus removes the causes of bad odors – bacteria. odor absorbers A gentle odor absorber supports the action of colloidal silver. A subtle, unobtrusive fragrance creates a sense of cleanliness in humans and well-being even in animals.